Well, I’ve been banging on for the past 3 years about Penzance been on the up (ripple affect from very expensive St.Ives) and blow me down, there is an article in this months issue of Manor Magazine saying exactly the same as me. Hoorah! Like most towns, Pz has its fair share of homelessness and drug abuse, and being at the end of the line (Paddington to Penzance) some people feel that this town is the last chance saloon. However, Penzance is now a huge draw to artists and creatives, with some fabulous galleries, quirky shops and the most wonderful architecture. The Art Deco Jubilee Pool has enjoyed a massive overhaul, thanks to the tireless hard work of the locals raising money, which to me is a sure sign of a great community. Property wise, there are some stunning Georgian houses, and interesting little alley ways and mews with hidden away little gems, sometimes giving a feel of being in London. And there is plenty to do. A varitable treasure-trove of shops, art galleries, bistros and restaurants plus beautiful gardens such as Penlee House (the delightful little cafe there even sells Prosecco!) and Morrab subtropical gardens. The Penzance pirates have their own rugby pitch here – a great way to spend a Saturday afternoon with the kids. Many of the schools have OFSTED good or outstanding reports including Mounts Bay Academy and Penwith Alternative Provision Academy both receiving outstanding OFSTED reports. Being at the end of the train line, it is more accessible than St. Ives for instance, and the A30 takes you straight to Penzance and on down to west Penwith which arguably has the best coastline the country has to offer. Coming back from rural Penzance on the A30 towards Penzance never ceases to take my breath away as St. Michaels Mount comes into view at nearby Marazion. 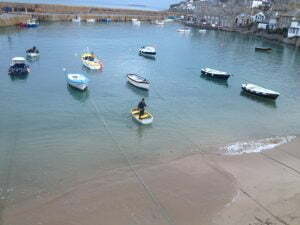 The working port of Newlyn is within walking distance where you can buy fish and seafood freshly caught that day, and the pretty Harbourside village of Mousehole is within an easy drive. If you happen to be down in December – make sure you include an evening out here to see the Christmas lights in the harbour. Lamorna Cove is also renowned for its artistic community and who can resist the Minack Theatre cut out of the rocks down at Porthcurno, with its stunning backdrop of crashing waves on the rocks below and the sea beyond. 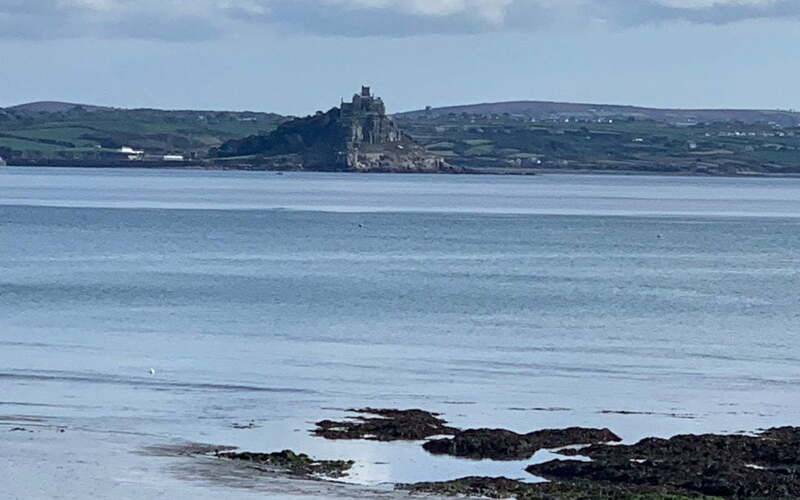 So – if you are thinking of relocating or buying a holiday home, please get in touch and lets start a conversation to see if Penzance is the place for you!